Our Introduction to Practical Fundamentals program is a half-day primer for Operation Specific Training’s flagship two-day Practical Fundamentals course. This program will focus on safety, gun-handling skills, holsters, magazine pouches, reloading and improved marksmanship. The practical module will encourage the shooter to focus on the process of running the gun, and steer away from the concept of what appears on the target. Throughout, gun-handling skills and safety are monitored and steps taken to improve those basic skill sets. The Introduction to Practical Fundamentals class is taught in Paducah, Ky. and central Connecticut. More locations coming soon. This is not a basic class. It is designed to “fill the gap” for novice shooters who have completed the NRA Basic Pistol or equivalent class and are interested in practical shooting competitions and/or enrolling in more advanced continuing education. Semi-automatic pistol shooters will find this class appropriate if they are interested in improving accuracy, getting experience on an open shooting line, using holsters and magazine carriers, or are looking for an excellent shooting refresher. If you are interested in getting started in IDPA or IPSC/USPSA or another practical shooting forums, this is a great place to start. The class involves an academic component that may be held in a classroom or at an outdoor range. The practical segment of the class is held at an outdoor range. Arrangements can be made to hold the class at an indoor range if the facility allows for multiple shooters drawing and holstering on an open line; in front of shooting stalls in an open area. This program, it’s equivalent or advanced experience, is a pre-requisite for OpSpec Training’s Practical Fundamentals class. Students shall provide their own semi-automatic service pistol, Kydex belt holster, at least two magazines, and two magazine carriers. As this may be the first time students are taking a class with OpSpec Training, we have some suggestions for students. You must also review the What To Bring page for our pistol classes. You need to bring a modern service pistol that is in good working order. 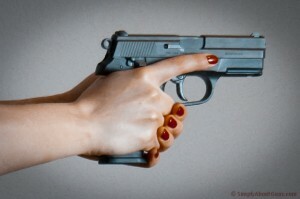 The gun should “fit your hand” properly. If you have any questions, contact us. In general, we suggest shooting 9mm rounds. It is preferred only from a cost point. Your holster should be USPSA or IDPA approved. Cross-draw, inside-the-waistband, shoulder or SERPA-type holsters are not permitted. We suggest a standard, outside-the-waistband belt holster from Blade Tech, Ozarks Holster Company, or equivalent. A high-quality, sturdy and stiff belt that properly supports the magazine carriers, holster and handgun. A quality, stiff leather belt is acceptable. If you have additional magazines and/or magazine carriers, bring them. About 150 rounds of ammunition. At least two magazines for your pistol. At least one magazine carrier. * Depending on the course location, reasonably-priced rental gear may be available. The course fee for Intro to Practical Fundamentals is $100, plus applicable range fees.